This week I am the designer of the week for Hambo Stamps. I am so thrilled to be asked. I can't tell you how honored I am. Thank you Hambo Stamps for thinking my work is good enough to be allowed to be the designer of the week. Their images are so easy to work with that anyones cards look great. So thank you for such a great product. These are the cards that I sent in for this weeks challenge. 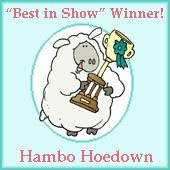 If you would like to participate just click on the title of this post and it will take you to the Hambo Hoedown. Fun, fun fun. 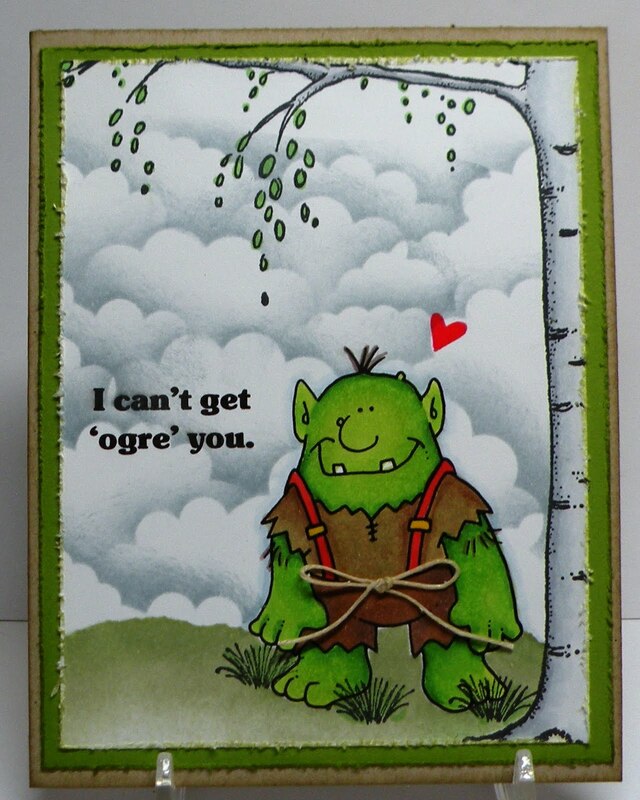 LOVE these cards- especially the first one!!! You are one fabulous stamper...and that's why Hambo picked you to be a guest designer!!! GREAT job- as always!! Gloria, they are fabulous, I love them all! I'm totally not surprised you were picked to be Hambo's guest designer, they know a talented lady when they see one! You certainly deserve the honor! Oh my goodness!! That first card is divine. 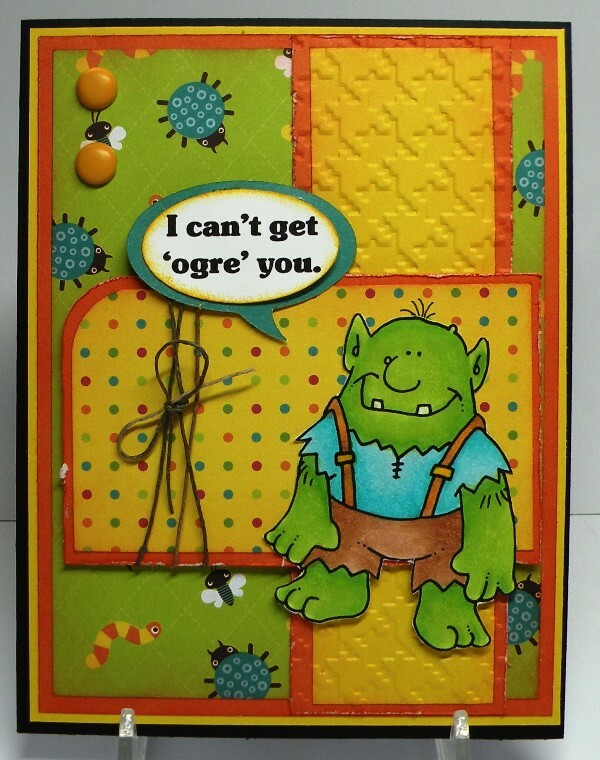 This ogre surely loves to show off your amazing talents! Thanks for being our GD this week! Way to go! Hi Gloria! Sorry it has taken me a few days to get here and comment on your fantastic cards for the Hambo challenge this week...They are so amazing! I don't think I can pick a favorite, but I love that third one with the bright colors...Just too cute! Thanks so much for doing such a great job as a guest designer! 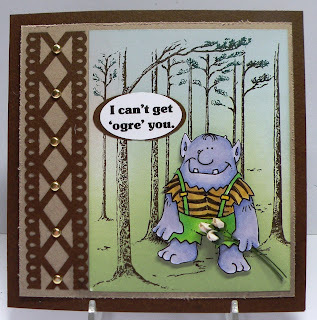 Love the purple ogre! He's too cute. WOW! All three of your cards are amazing. 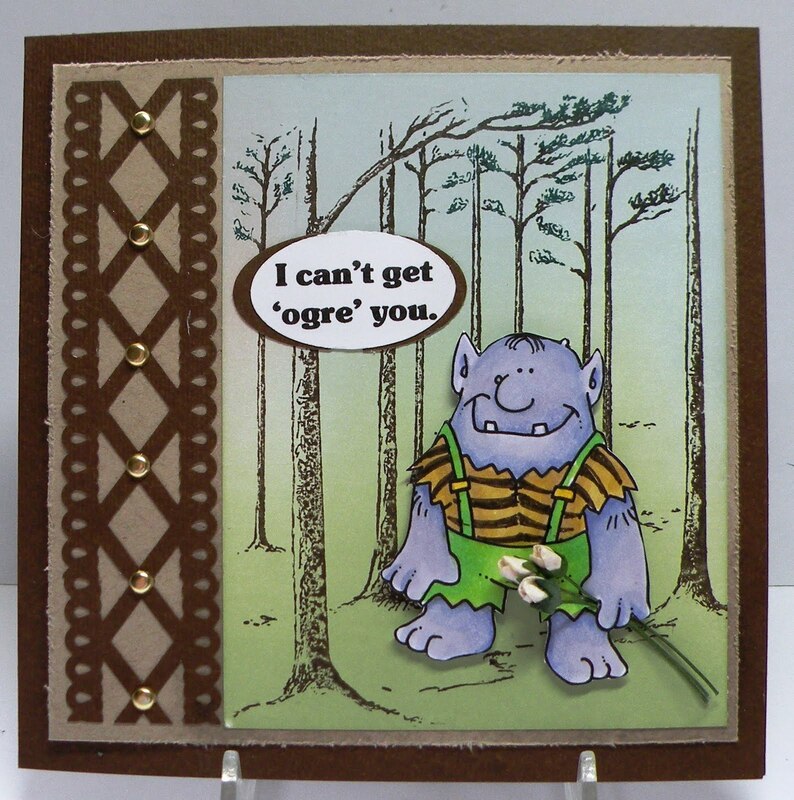 You do such a great job of creating a scene on your cards. They really showcase the image. Gloria, I just learned of your family's loss. My heartfelt sympathy to you at this sad time. 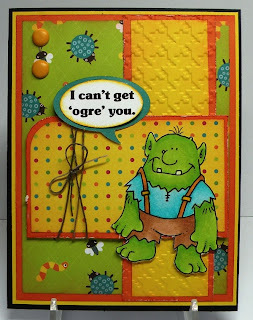 All of your ogre cards turned out great! Congratulations on being guest designer...from looking at your cards I can tell why...I like them all.